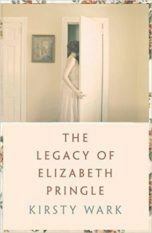 An experienced, award-winning television journalist, Kirsty’s debut novel, The Legacy of Elizabeth Pringle, takes place against the deeply atmospheric background of Aran Island off the West coast of Scotland where the heroine Martha inherits a beautiful house by chance and thus discovers its tragic history. It has been bought in a two book deal by Lisa Highton for Two Roads Press and has already sold in Germany and Spain. 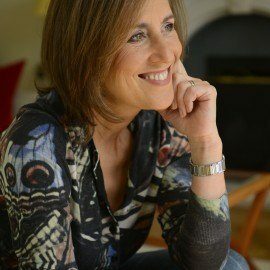 Kirsty has presented a wide range of TV programmes over the past thirty years – from the ground breaking Late Show to Election Specials, live stadium events and, since 1993, the BBC’s flagship nightly current affairs show Newsnight. She loves cooking and reached the final in Celebrity Masterchef in 2011, hosted a culinary quiz and took part in The Great Comic Relief Bake-Off.